Up until recently, compliance has mainly relied on people. And as a result of the significant increase in regulatory reporting requirements for financial institutions over the last decade, demand for compliance professionals has surged. Companies have had no choice but to hire more and more compliance staff, in an effort to tackle the growing regulatory burden. However, over the last few years, technology has begun to play a much larger role within compliance. Financial institutions and regulators have realised that by harnessing the power of technology, and more specifically, the power of artificial intelligence (AI) and machine learning (ML), a considerable proportion of the compliance function can actually be automated, reducing the burden on institutions and compliance professionals. In the UK, the Financial Conduct Authority (FCA) is a pioneer in the regulatory technology (regtech) space, and in early July this year, in collaboration with the Bank of England and a number of financial organisations, the UK regulator began its Digital Regulatory Reporting (DRR) project – a pilot programme designed to evaluate the benefits of machine-readable reporting, and explore how technology (currently RNN and semantic web) can make it easier for financial institutions to meet their regulatory requirements, by making reporting rules less reliant on human interpretation. The overall aim of this project is to reduce the time and costs involved in interpreting and implementing new reporting requirements, and also reduce the number of individual regulatory reports that firms have to produce. To achieve this, the FCA has been looking at how a regulatory machine-readable framework can interact with a standardised language and be mapped to source data, and it is using semantic web technologies to identify the appropriate approach for the data specification. Already, the FCA has proved that the concept works, and in a recent presentation on 9 November, the regulator announced that it had successfully applied machine-reading technology to two different regulations, including one regulation based on capital requirements and another on mortgage lending criteria. Looking ahead, the FCA plans to broaden the scope of the project in 2019 and apply the technology to a wider range of regulations, which is an exciting development for the industry. The success of the DRR pilot programme highlights how compliance could potentially be transformed by technology and AI in the years ahead. While regulatory technology has advanced in recent years, realistically, it’s still in its infancy. Where we are situated with regulatory technology right now almost resembles the time that the first vehicles were invented and manufactured back in the early 20th century. Over the next decade, technological advances could completely overhaul compliance as we currently know it, making life considerable easier for financial organisations. If there’s one specific area of technology that has the ability to make a huge impact on compliance, it’s AI. It’s the latest technology to play a key part in the digital transformation of the financial services industry and the possibilities within compliance and many other industries, going forward, are almost limitless. According to the authors of the book, “Integrating AI in Highly Regulated Industries”, we are now in the middle of an AI revolution. Essentially, AI is a series of underlying technologies such as natural language processing, computer vision and ML, that can be brought together within a cloud-based environment to store and process huge amounts of data so that machines can perform sophisticated tasks, without the assistance of humans. Andy Pardoe, director of IT at Accenture, defines AI as a broad term that encompasses a wide range of functions, from simple rules-based algorithms through to natural language processing (NLP) based on deep learning. 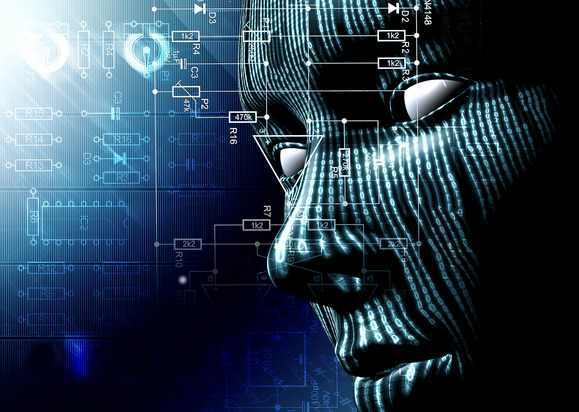 While AI is not a new area of technology – it has been developed since the 1950s – the technology has advanced significantly in recent years, and newer algorithms are now able to process vast amounts of data and closely imitate human thought processes. As a result, there are now some very interesting AI/ML projects going on in the compliance field, with analysts looking at how AI can solve real-world compliance issues. However, like any other technology, the implementation of AI within the regulatory space needs to be managed carefully. As Eugene Ludwig, chief executive of IBM-owned Promontory Financial group says, there is the possibility of “sub-optimal outcomes” if AI technology is not accompanied by management judgement. One topic that is linked closely to AI is “semantics”, which refers to the meaning of language. In the past, there has been much discussion within the technology world about the possibility of building a “semantic web”. This would be similar to the current world wide web but the key difference would be that it would be structured in such a way that data and information could be easily processed by machines. In other words, web pages would be structured and tagged in a way that computers would be able to read them. Semantic technologies for smart data processing relate to ideas that Professor of Information Systems Tom Butler began developing back in 2002. The semantic web idea definitely makes sense, however, there have been difficulties in getting it set up. For example, humans were expected to be involved in creating the structured data, and this has made the process time consuming, expensive, and not easy to scale. A paper written by Butler in 2016 suggested completing the semantic system with “knowledge engineers”, however, this would still create complications, as the growth of data volumes would most likely outpace the speed of the engineers’ effectiveness. One positive development in this space, however, is the shift towards AI-based cognitive computing systems. The application of AI-based systems could significantly reduce the costs of constructing semantic web systems as it would eliminate the manual work weak point. By using structured data that applies AI-based algorithms, efficiency could be increased significantly. It’s likely that we’ll see plenty of developments in the years ahead in relation to AI and semantics within compliance, and this could help make banks and other financial institutions far more transparent and manageable for regulators. The work that regulators are currently carrying out in this sphere – with the FCA pioneering the way – is encouraging. With more data becoming available through RDF-based endpoints, regtech will become significantly more effective as it will be able to consume and analyse structured data coming from the regulators. At ClauseMatch, we have embraced technologies such as AI, and we have gained experience in semantic-based algorithms. Already, with the help of data scientists and machine-learning experts, we have developed and tested a system that can identify and compare regulatory paragraphs and grade their relevance to each other based on semantics. Recently, we tested our work on the concept of “whistle-blowing” and the results were quite impressive – significantly outperforming traditional statistical-based approaches. Even when paragraphs had absolutely no words in common but simply discussed the same topics, our system managed to detect relationships, since the machine learned to represent text in a semantic multidimensional space, where phrases such as “whistle blower” and “anonymous report” were close to each other. That vector based representation is now playing the key role for us as a foundation for a deep learning sense extraction solution we are working on. Technology will impact many industries in the years ahead, and in some industries, the technology story is about replacing people. Yet while technology is having a profound impact on the compliance industry, the story for compliance is not only about machines. Compliance is a unique industry, and when it comes to implementing technology, it’s more about augmenting people. With compliance, it’s not about humans versus machines, as both have a vital role to play. The key is to find the right balance between the two and get humans working with machines. The biggest gains are likely to come from the two working well together. Compliance is evolving at a rapid pace. And that’s a good thing. A decade from now, what we are most likely to see is a three-level compliance structure with humans at the top, AI technology at the bottom, and an automated decision support system in the middle, providing a 360-degree view into the firm’s current state of compliance. At the lower level, AI will assist compliance professionals by offering various solutions to a problem, but it will not make the decisions completely by itself. AI will prompt humans with the right decisions, enabling compliance professionals to do their jobs more efficiently, and with more accuracy. How financial institutions can effectively operate in the ever-changing regulatory space.